air joe is proud to serve the Merrionette Park community! We are proud to be a part of this community, serving your heating and air conditioning needs: air joe is listed in many directories under titles such as : Merrionette Park Heating Contractors, Merrionette Park Heating, Merrionette Park Air Conditioning, Heating Repair, Air Conditioning Repair, Merrionette Park Heating and Cooling Contractors, Rooftop HVAC Repair, Ductless AC Systems, Boiler Repair and Merrionette Park Heating and Air Conditioning Contractors. We are here for you whether you need furnace or air conditioner repairs, heating and cooling estimates, equipment replacement or new installation of a furnace, air conditioner, heat pump, rooftop heating and cooling or comfort products to improve the air filtration for your home or business. The Village of Merrionette Park, Illinois is located in Cook County 14 miles south of the Chicago Loop. This town has on its borders Mount Greenwood and five different cemeteries. In the 1940’s a gentleman by the name of James Merrion began the development of Merrionette Park. The village maintained his name as a memorial to his work here. 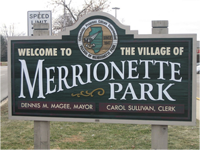 Merrionette Park was incorporated in 1947 and today this small town has 1,900 residents who call it home. There are a few great options for dining, shopping and playing while in this small town. The Merrionette Park Baseball and Softball Program brings this small town together to cheer on players of all ages. More than 800 players join their programs and play on one of their 7 ball fields. The park offers both baseball and softball opportunities at different times during the year. Visitors are encouraged to come out and enjoy a game and experience some family fun. The Alsip Merrionette Park Library is a great way to spend the afternoon. This library has a variety of classes and discussion groups for all ages. Merrionette Park Stonebrook Plaza has a variety of shopping and dining options and is located on 115th and Kedzi. The Village of Merrionette Park is part of the humid continental climate zone and this means a variety of weather conditions throughout the year. Summers here have temperatures and humidity levels in the 70’s. Ball players are thankful warm weather at the field but these families need a well maintained air condition unit to cool off in after the big game. Winter temperatures fall below freezing on an average of 130+ days a year here. Residents enjoy cozy warm nights on the couch reading books from the Merrionette Park library and can do that with a high efficiency furnace installed. Merrionette is an all-American small town with a community committed to maintaining a family friendly atmosphere.